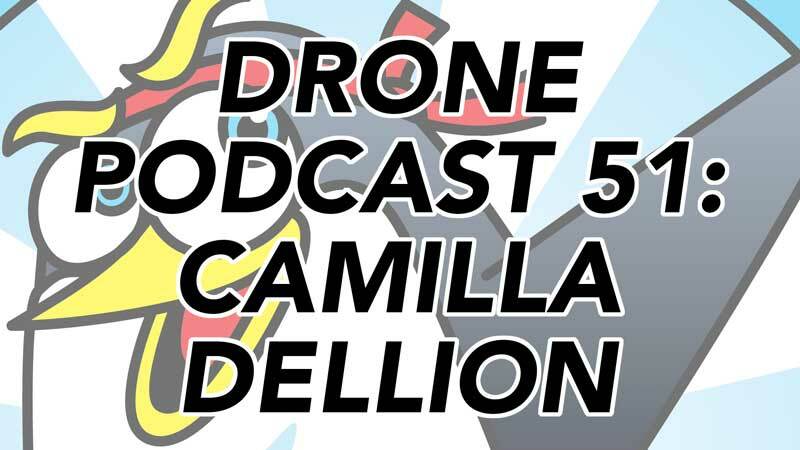 Welcome to episode 51 of The Drone Trainer Podcast! This week we’re going to chat with Camilla Dellion, a Swedish drone pilot currently based in The Maldives. Check this episode out and subscribe on iTunes or Google Play so that you don’t miss this or any of the future podcast episodes! Camilla Dellion is a currently living in the Maldives, flying and capturing some dynamite ocean shots. She is originally from Sweden, but as you hear in this interview she’s a world traveler who already has her sites set on her next location. She is currently selling her beautiful prints back home in Sweden to help support her lifestyle in the Maldives, and taking every opportunity that she can to go to Indonesia for projects. Camilla is currently living on an island that is about 1km long, and 200m wide, so she has an abundance of oceanfront landscape to shoot with her drone. She is cognizant of the drone rules in the Maldives, and is luckily living far enough away from the closest airport that she can legally fly her entire island. She’s one of the lucky ones that has both the Mavic 2 Pro and Mavic 2 Zoom drones, and switches back and forth between them depending on the scene that she is working with. That’s quite the luxury isn’t it? She started off with the Phantom 4, but obviously enjoys the portability of the Mavic series when she is trekking around the islands. We discuss what it’s like shooting around wildlife, specifically dolphins down in her part of the world. That also brought up a recent video that I saw, where a bear and her cub were being harassed by a drone on the side of a mountain. If you haven’t seen this yet, check out the video below and prepare to get angry! I hope you enjoyed this week’s chat with Camilla Dellion from the Maldives! Once you’ve had a listen, feel free to leave a comment below so that Camilla and I can hear what you think! Check out Camilla’s work and follow her on social media!